Morocco is a shopper’s dream. The country has a long and highly-respected tradition of craftsmanship, and the level of workmanship is still valued by Moroccans today. 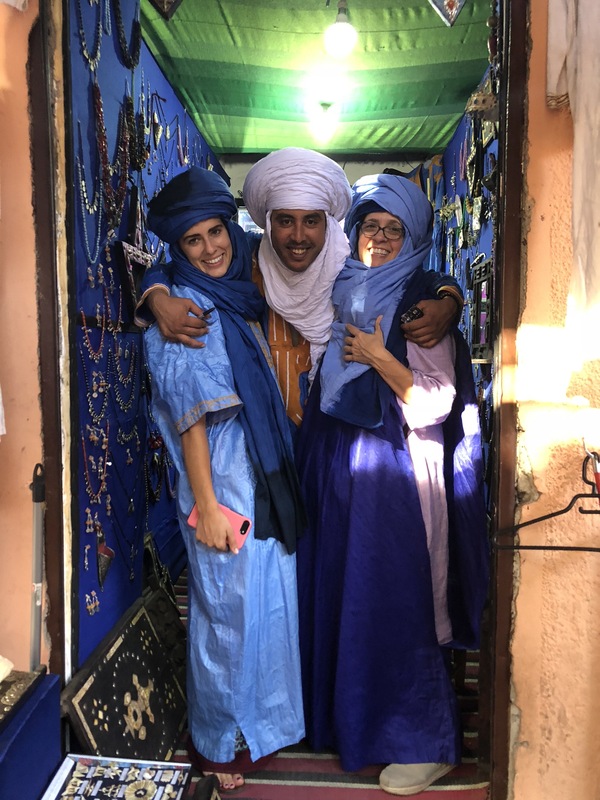 Whether you are looking for one special souvenir or want to fill a new house with Moroccan furniture, our partners at Heritage Tours can help you make the most of your time in Morocco. They share tips in our Morocco Shopping Guide below. There is a long and deeply-ingrained tradition of bargaining, so don’t be afraid to negotiate. Don’t let a salesman convince you to get something you were never interested in just because they say it is old or particularly valuable. Buy something because you think it is beautiful. To buy or not to buy is your decision, so don’t feel pressured to do so if you are not comfortable with the price. Even though it may mean a few more dollars, use your credit card when shipping an item home. You may need to stop payment if your purchase has not yet arrived. Your guide will help you visit stores that are reputable, can give advice for bargaining, and can help you move from store to store (it’s always nice to have someone help you get away from a pushy salesman!). 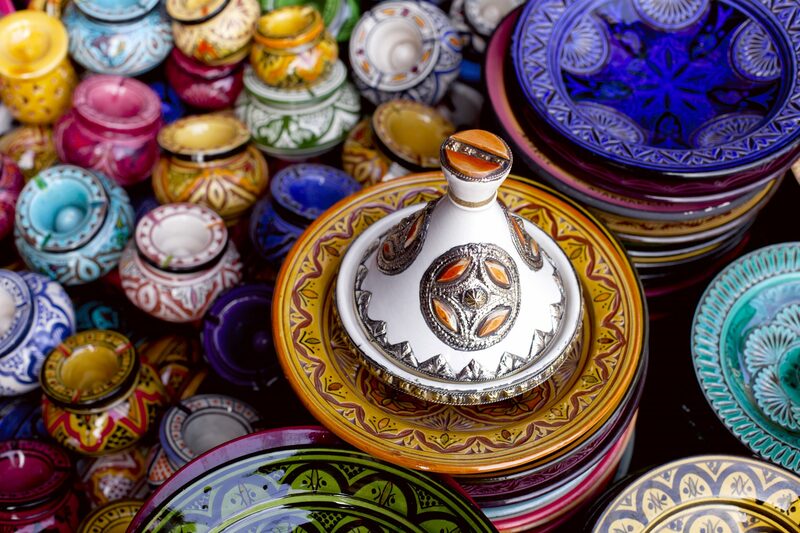 Heritage Tours hand-picks each of their guides, and they can offer insight into Morocco as well as shopping advice. Many reputable stores will ship your purchases home for you. Again, be sure to use your credit card when you purchase anything that will be shipped, and keep your receipts. Marrkech and Fes. There are also rural marketplaces in the High Atlas Mountains with locally made items. Each city has a government-run Artisinale, where you can find decent-quality objects at fixed prices. The atmosphere is bland and shopping here is not as much fun as in the souk, but you are guaranteed fair prices; it’s a good place to go if you don’t have much time. 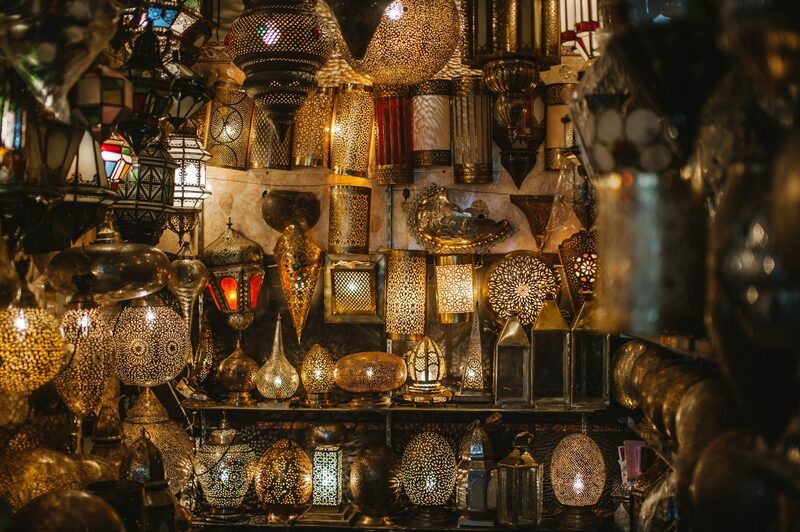 If you plan to do serious shopping, visit at least one of these before you start shopping in the souks to see the range of prices you should be paying. You can find just about everything in Morocco’s colorful and vibrant souks. Prices are negotiable, unlike the fixed prices at an Artisinale, and you want to make sure you visit quality, reputable stores (see: Get a Guide above). From the ancient medina to the pages of Vogue, the Kaftan and its variations are always in style. Designers like Chanel, Ana Sui and – of course – Yves Saint Laurent have brought their versions of the Kaftan to the runway, and you can create your very own with Heritage Tours. If you want to dedicate time exclusively for shopping, Heritage has it covered. They have relationships with Morocco’s top artisans and designers and your guide will take you to off-the-beaten-path spots. Click here to learn more about Heritage Tours and here to start planning your trip.